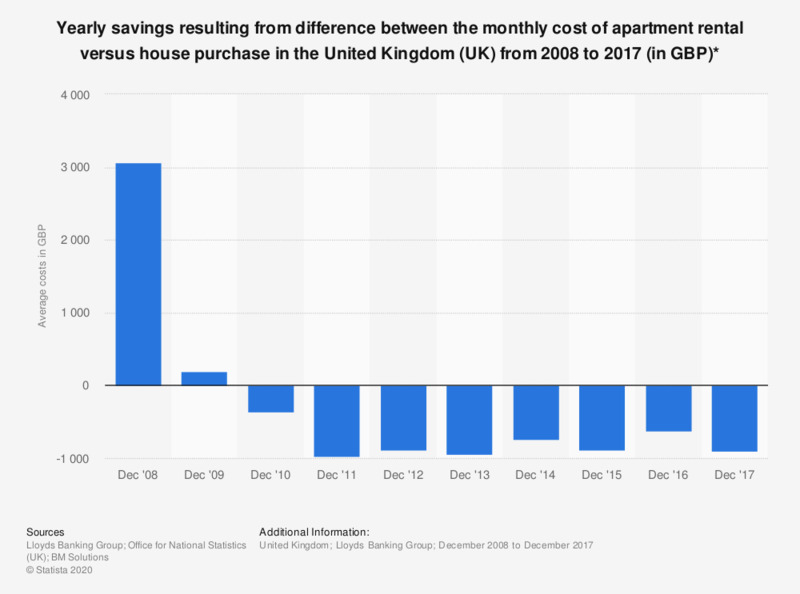 This statistic shows the difference in savings made as a result of spending money monthly on buying a house versus monthly spent on renting a residential property in the United Kingdom (UK) from 2008 to 2017. As of December 2017 the average annual savings associated with buying a three bedroom house in the UK was 900 British pounds over that of renting a three bedroom property. this is a trend that has existed since 2010, meaning that the annual costs of buying a first time home are lower than that of renting. *Payments refer to the average for buying and renting a three bedroom house over 12 months to December for each year.